Step foot into the amazing Dallas Cowboys Stadium and you know that you've just entered another world. No matter what the action is out on the field – be it the musical sensation U2 or the home team Dallas Cowboys – you can rest assured that there is plenty to capture the eyes and attention of a broad range of fans. 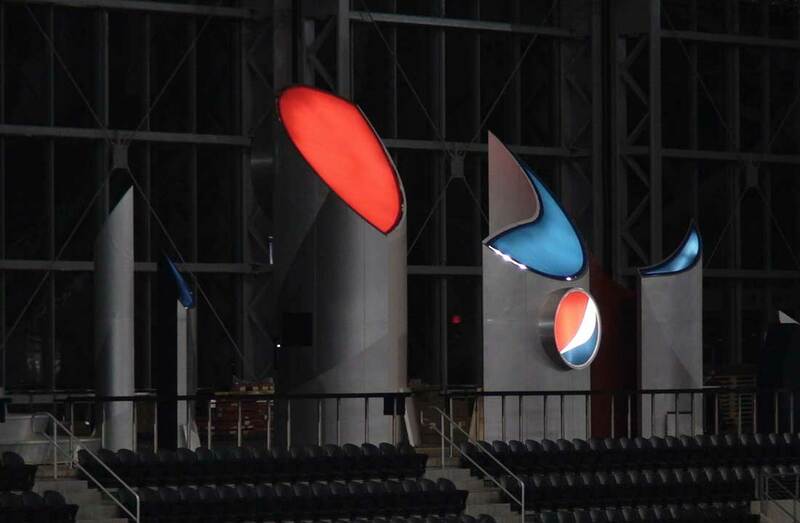 It was in this spirit that Pepsi, one of the world's leading brands, challenged 2020 Exhibits to help activate the Pepsi brand and bring it to life for their dynamic Cowboys Stadium venue, the Pepsi Skyway. As the 3rd largest stadium in the NFL by seating capacity, Cowboys Stadium boasts of seating for more than 80,000 fans along with one of the world’s largest -- 72 x 160-foot – high definition video screen. 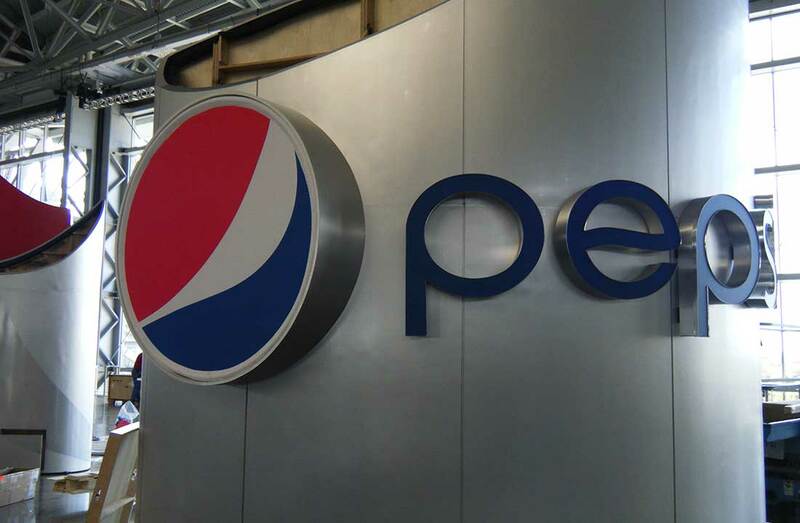 With so many amazing sights and sounds competing for the attention and loyalty of enthusiastic fans, Pepsi wanted a space that was dynamic and compelling, while celebrating the spirit of Pepsi. 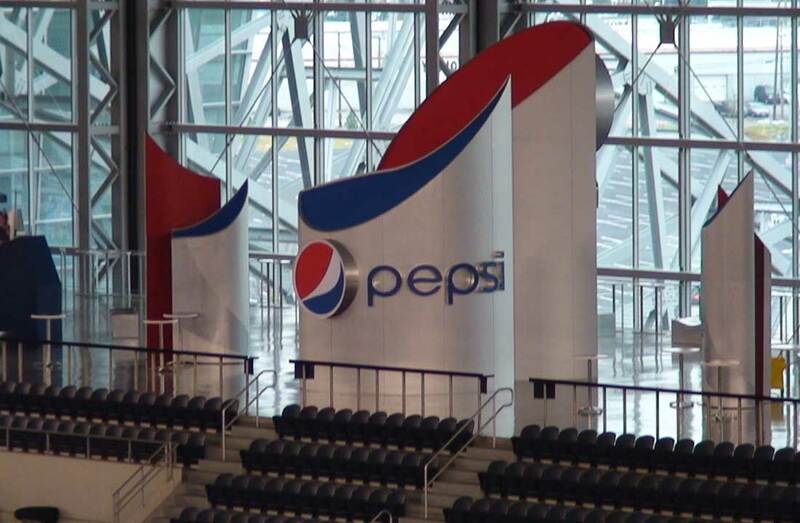 Providing comprehensive large scale printing, fabrication and installation for this dynamic and engaging fan zone, 2020 Exhibits honed the design and material needs, fabricating permanent yet removable curved walls and towering branded columns. This distinctive 15,000 square-foot space brilliantly reinforced the strength of this iconic brand. In the Game Day Mural Zone fans would be invited to sit before an artist, either before or after the game, who would sketch their likeness. These images would then be auctioned off, oftentimes to friends and fans of the person sitting for the illustration. 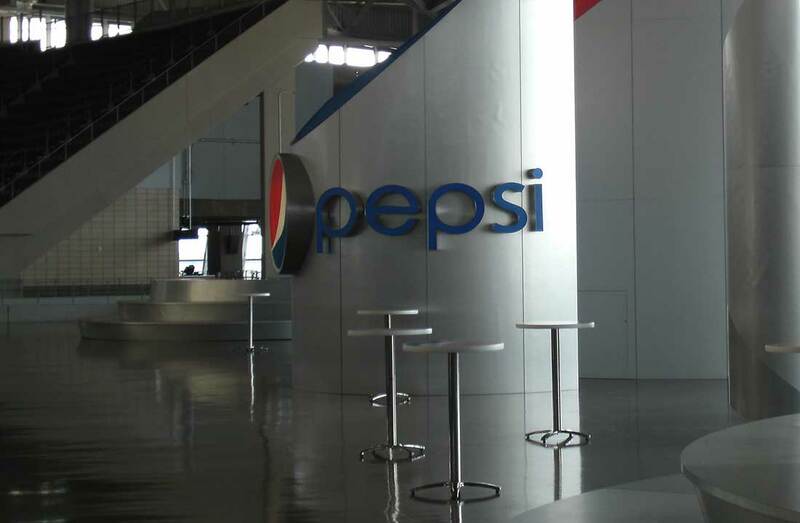 Three tiered nine foot curved brushed aluminum Pepsi branded walls bring the Game Day Mural Zone to life, creating a private yet open feel with comfortable seating and Pepsi branded pub tables throughout. 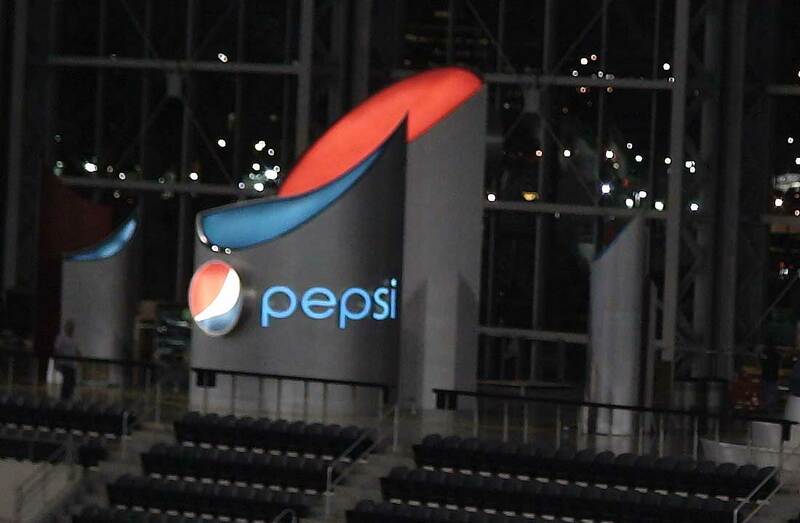 The spirit of the game resonates throughout the space, with Pepsi taking center stage. In the Touch Down Zone, the faux turf-covered ground set the stage for fun and games where fans can reenact favorite moves and plays, all with the chance to be videotaped and seen high above the field on the world’s largest Jumbo Tron. 2020 Exhibits -- stepping up to meet the challenge and delivering extraordinary results. Can you hear the crowd roar?